I've handled a lot of injury claims involving children. Usually when a child has been injured in an accident, the conduct of the child’s parents is called into question. Typically the insurance company will try to argue that the child was injured in large part due to the parents’ failure to adequately supervise the child. But this argument often fails. This is because Washington has adopted what is called the Parental Immunity Doctrine. How Does The Parental Immunity Doctrine Protect Parents? Under the Parental Immunity Doctrine, a negligent parent is immune from liability for injuries caused to the child unless the parent was acting outside his or her parental capacity, or if the child’s injuries were caused by a parent’s willful and wanton misconduct. 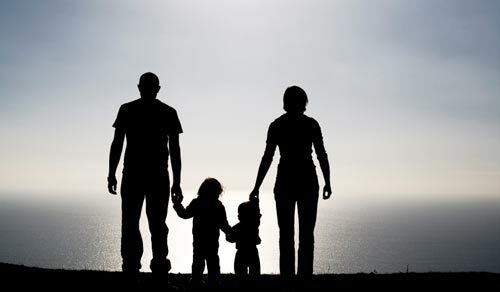 The doctrine is based upon the public policy of maintaining family tranquility and avoiding the fear of undermining a parent’s control and authority over his or her children. Another exception to the Parental Immunity Doctrine is when the child’s injuries are due to a parent’s negligent driving. That means a child is still permitted to pursue a legal claim against his parent if the injuries arose from a car accident that was caused by the parent. The doctrine also does not apply to those parents who engage in willful and wanton misconduct. Washington law has defined the phrase “willful and wanton misconduct” to mean the parent’s intentional act or intentional failure to act in disregard of a known peril or hazard. This can be a difficult burden to prove. While the standard of negligence implies inadvertence or carelessness, the term willfulness suggests premeditation or formed intention in the face of known circumstances that would inform a reasonable parent of the highly dangerous nature of that conduct. Essentially a parent’s conduct must rise to the level of intentional or reckless conduct or extreme indifference that had a high likelihood to cause harm to the child. The courts in Washington have rejected numerous attempts to hold a parent legally responsible for injuries caused to the child based on allegations of inadequate supervision. But recently the Washington Supreme Court ruled that a step-parent may not be protected under the Parental Immunity Doctrine if that step-parent was not truly acting as a parent to the child. See Zellmer v. Zellmer, (July 24, 2008). In the Zellmer case, the step-parent fell asleep and the 3-year-old step-daughter fell into the family swimming pool and drowned. It turned out the step-parent had previously taken out a life insurance policy on the child, an unusual action by a step-parent to say the least. Also, the step-parent had only recently married the child’s mother so there was a factual question of whether the step-parent had sufficient time to form a parent-child relationship and thus be entitled to the protection of the Parental Immunity Doctrine. In the case of Jenkins v. Snohomish Cy. PUD 1, 105 Wn.2d 99, 713 P.2d 79 (1986), the parents of a severely injured child were immune even though they were fully aware of the hazard which injured their child and had previously warned him to stay away. In the case of Talarico v. Foremost Ins. Co., 105 Wn.2d 114, 712 P.2d 294 (1986), a father was held immune when his 3 year-old son was severely burned in a fire that the father had started in the back yard and then left the child alone. It is important to remember that the Parental Immunity Doctrine only protects negligent conduct in certain situations. A parent may still be legally and financially responsible for intentional conduct that harms the child, like physical and sexual abuse. That sort of intentional and/or reckless conduct by a parent will never be protected under Washington State law.